Give a Note Foundation and Radio Disney are ready to hit the road to celebrate the magic of music making! We are celebrating our 5th birthday and Radio Disney’s 20th birthday with our 4th Music In Our Schools Tour. The 2017 Tour will include 10 tour stops and will begin in mid-February and run through April. Six schools will earn a Give a Note Foundation grant and a celebration concert for their community featuring a popular artist or band, hosted by a Radio Disney personality. This year we are adding four additional tour stops to recognize the winners of the Give a Note – Music Ed Matters Chapter Challenge. These four tour stops will recognize the outstanding efforts of NAfME Tri-M Music Honor Society students and NAfME Collegiate members to raise funds to help support music education programs! Instead of giving grants at these tour stops, Give a Note will celebrate the donation FROM the chapters TO Give a Note Foundation. To enter for a chance to be one of the six schools awarded a grant during the 2017 Music In Our Schools Tour, schools need to submit a 30- to 60-second video of their ensemble performing a song that inspires them. The deadline to submit video entries is November 10, 2016. 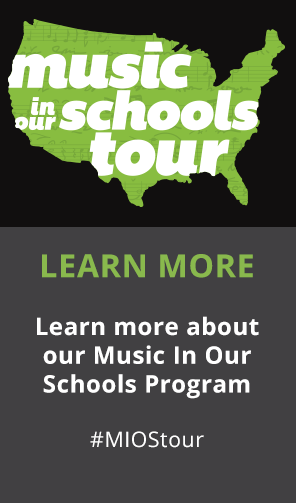 Twelve schools in 6 geographic regions will be selected to move on as semi-finalists of the 2017 Music In Our Schools – Music Inspires Tour contest! Voting will open up to the public on November 18, 2016. The school with the most votes in each region will win a stop on the 2017 tour! Get started on your entry today! Music In Our Schools Month® or “MIOSM®” is National Association for Music Education’s (NAfME) annual celebration during March which engages music educators, students, and communities from around the country in promoting the benefits of high-quality music education programs in schools. 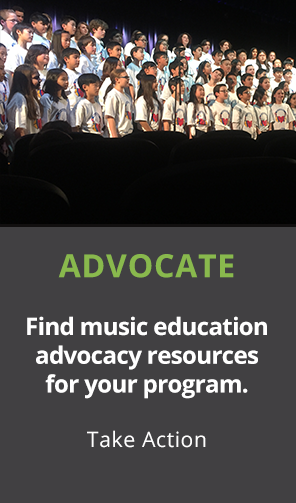 Many underserved schools around the country do not receive the support they need to sustain their music programs. 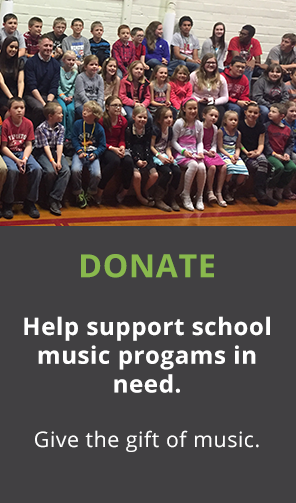 This need inspired the creation of Give a Note Foundation, which was established in 2011 by NAfME with a vision of giving every child the opportunity to participate in school music programs. Give a Note shines a spotlight on those areas of need, and the value of music education in the lives of all students, and the great work of the music teachers who reach those students. Get in touch >>> Tell us about your school’s music program.